Since the first time we had our first Blinis (thick pancake) in Antoinette in Penhas Road (check out the review here), we're kind of hooked with it. So we promised our friend SH (the desserts queen) that we will bring her when she is in SG. 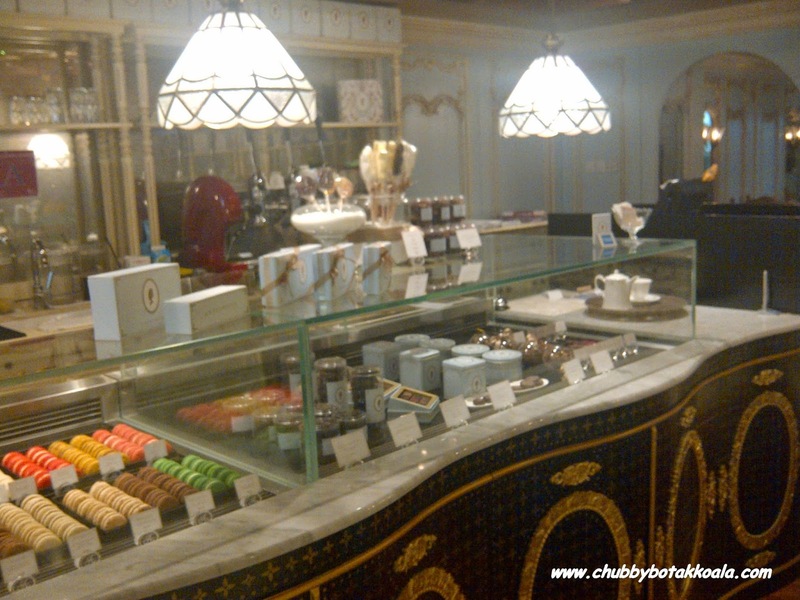 This time around we headed to Antoinette in Palais Renaissance for high tea. This is the first time, that we went to this outlet, and we were totally impressed. Lets just say, Antoinette and Palais Renaissance are made for each other. The French Monarch era decoration of Antoinette fits nicely with the décor of Palais. 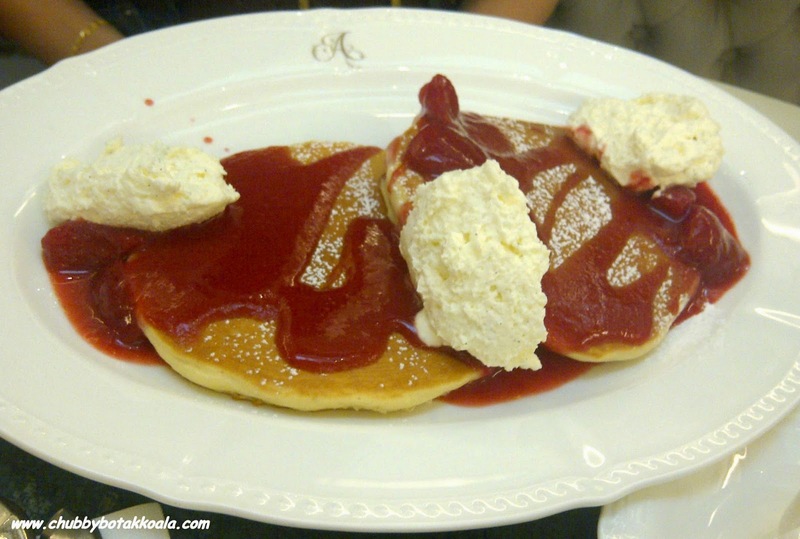 So for high tea, we had Blinis with blueberries and maple syrup ($12) and Blinis with Strawberry compote ($12). Both served with crème chantilly (a fancy name for whipped cream ha..ha..). Both of the pancakes are excellent. It is soft, moist and done to perfection. The blueberries were incorporated in the pancake, topped with maple syrup, while the strawberry compote has the nice balance of sweetness with the strawberries. 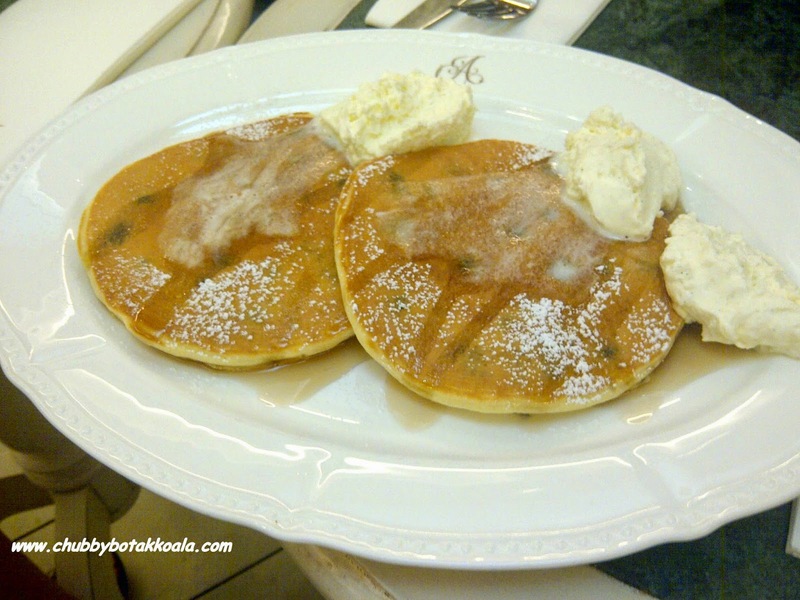 The crème chantilly, which is soft, light with a dash of sweetness really took the pancakes to another level. I can have this everyday. For drinks, I tried the Cafe Viennois ($6.5) for the drink – Antoinette Coffee served with crème chantilly on the side. 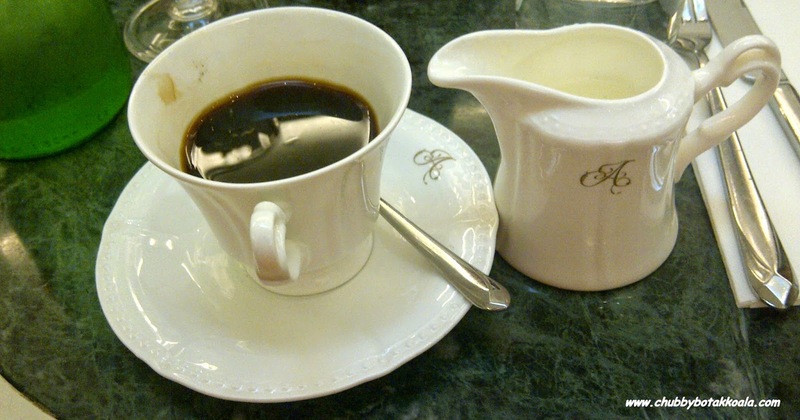 The coffee has a nice aroma, slightly bitter but when you add the crème chantilly it has nice creaminess and a touch sweetness into it. Service in Antoinette is normally excellent. The staff from Antoinette are friendly, well trained and professional. However, during this visit I find they were slightly rude, arrogant and not keen to serve at first. Maybe because we were dressed so casually unlike the tai tai which normally visit this outlet. To be fair, the service got better after they took our order.